KBS Publishing Services is simply another way of expressing our commitment to serve our friends and colleagues the best we can support their mission. Our increasingly globalised yet diversified societies make it even more challenging to meet needs of Bible readers, and demands for streamlined services linking pre-publishing, production, and supply, and better customer support have never been greater. 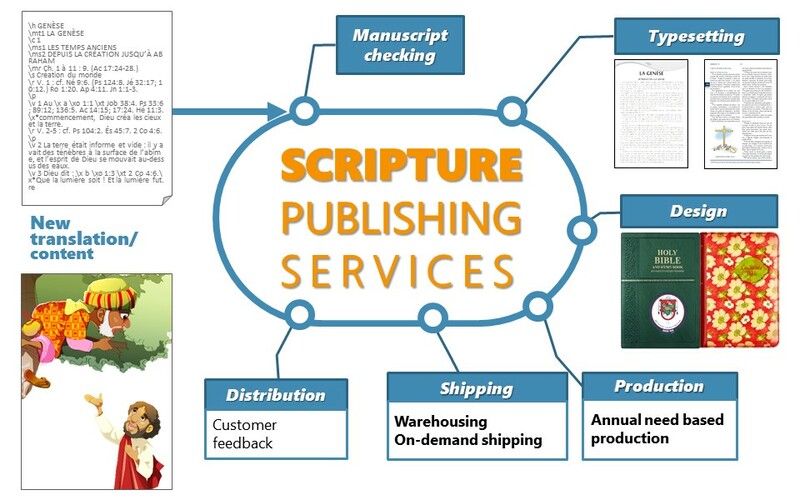 In recognition of such requirements, we have launched the Publishing Services to cater needs arising at every stage of Scripture publishing, from content development until the moment Scriptures are placed onto the hands of Bible readers. This involves serving our sister Bible Societies in the area of typesetting, designs, and content development to help God’s Word be communicated more effectively to peoples with diverse needs and of various backgrounds.